Don Tapscott, Executive Chairman of the Blockchain Research Institute, is one of the world’s leading authorities on the impact of technology on business and society. He has authored 16 books, including Wikinomics: How Mass Collaboration Changes Everything, which has been translated into over 25 languages. Don’s most recent book is Blockchain Revolution: How the Technology Behind Bitcoin and Other Cryptocurrencies is Changing the World. Don is a member of the Order of Canada and an Adjunct Professor at INSEAD and Chancellor of Trent University in Ontario. Don Tapscott spoke at The Walrus Talks Connections about his four greatest predictions for the internet and asked an important question of the audience: how can we move beyond this first era of democracy where we’ve created these representative institutions but there was weak public mandate, citizens were inert, there was opacity and move to a second era based on public deliberation, a culture of active citizenship, transparency, good government, smart votes, where governments are actually accountable to citizens? You can listen to Tapscott’s talk or read it below. 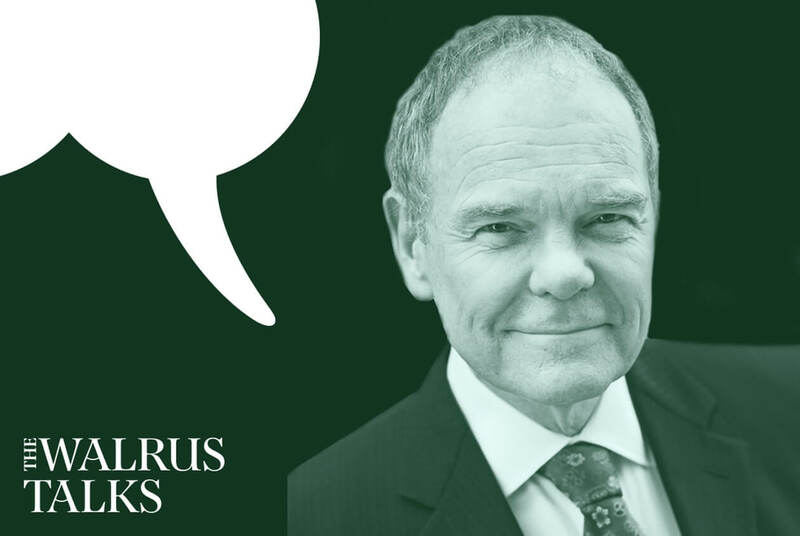 My name’s Don Tapscott, and for four decades I’ve been an advocate of the digital revolution. And I wrote a couple of books in the 1980s that nobody read, I think my mother bought most of the copies. But in the early 1990s, I wrote a couple of books, one called Paradigm Shift and then in ’94 I wrote a book called The Digital Economy which they say was the first best-seller about the web. And twenty years later I was asked by my publisher to write an anniversary edition, so I had to go read the book. And it was humbling. The book stood up pretty well. And I came to a number of conclusions that that’s what’s happened over the last couple of decades going forward we’re entering a whole new age with these extraordinary new technologies, machine-learning technologies that do things they weren’t programmed to do. Blockchain, new internet of value where we can now trust each other to do transactions without an intermediary. And trust is achieved by cryptography, and collaboration and some clever code. The internet of things and others that were mentioned. And I also concluded the industrial age is finally coming to an end, and over all the book was quite upbeat. But the subtitle was Promise and peril in the age of networked intelligence, and I did write a little section on the dark side. Things that could go wrong. And when I reviewed every one of them, check, check, check, check. All of them had gone wrong. So, I’m going to talk about four of them tonight, there’s a long list. And to kind of give you my views about what is to be done to go forward. The first was I said there was a danger we’d lose our basic right to privacy. And that a small handful of people will capture our data. Well, that kind of happened. I’ve been referring to it recently as digital feudalism. Remember before capitalism all around the world we had the feudal system – you didn’t work for a wage, you were tied to the land, you grew a bunch of vegetables. But the feudal landlord expropriated them all and you got to keep a bit. Well today, we all create the new asset class, it’s called data. And this is perhaps the most important asset class ever we created, but it’s expropriated by all these landlords and you get to keep a couple of cabbages. And that’s a big problem, because first of all it means that you can’t use this data to plan your life. Secondly, it means that these huge fortunes have been created and we now have a biforcation of wealth. We have this crazy thing that’s happening. Is there anyone here who thinks technology is transformed government for the better? Some of you are still trying to get a paycheque. Trust is at an all-time low in our institutions. And we are arguably have a crisis of legitimacy of our democratic institutions. Seymour Martin Lipsit, a great American sociologist, talked about legitimacy is the idea that you made a disagree with those in power but at least you think the institution, like democracy, is a legitimate one. Fewer and fewer people do these days. And, it’s kind of funny, but it’s actually not, because the alternatives to democracy are quite terrifying and they’re growing all around the world. So, how can we move beyond this first era of democracy where we’ve created these representative institutions but there was weak public mandate, citizens were inert, there was opacity. How can we move to a second era based on public deliberation, a culture of active citizenship, transparency, good government, smart votes, where governments are actually accountable to citizens rather than, say, in the United States, to the big funders who put them in power? These are four of a whole bunch of issues. When we move from the agrarian age to the industrial age, we developed over time, a new social contract, we figured out people needed to be literate, so we created the public education system. We created a law that you have to go to school, it’s against the law not to go to school. We figured out people were going to live in the city, we’re going to need a social safety net. We figured out you can’t have one oil company owning all the oil, created anti-monopoly legislation. We did a whole bunch of things that together constituted a social contract. What’s the social contract for the digital age look like? I think we need to build a new one, and, to do that. In Canada we haven’t had a Royal Commission in a long time – we should have a 21st Century digital Royal Commission engaging millions of Canadians in thinking through a new social contract. What are our basic rights in the digital age? What kind of new institutions and new directions and new policies do we need to ensure that the smaller more connected world, that our children inherit, is actually a better one. I’m of the school that the future is not something to be predicted, it something to be achieved. Now is the time to come together as a country and to connect to and to achieve a new future. And maybe this digital age will be an age where the promise is fulfilled and the peril is unrequited. Don Tapscott, Executive Chairman of the Blockchain Research Institute, is one of the world’s leading authorities on the impact of technology on business and society. He has authored 16 books, including Wikinomics: How Mass Collaboration Changes Everything, which has been translated into over 25 languages. Don’s most recent book is Blockchain Revolution: How the Technology Behind Bitcoin and Other Cryptocurrencies is Changing the World. Don is a member of the Order of Canada and an Adjunct Professor at INSEAD and Chancellor of Trent University in Ontario.